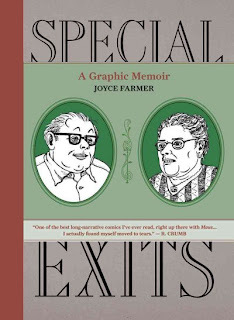 I have forgotten who recommended Special Exits: A Graphic Memoir by Joyce Farmer. I think that it was one of my friends on Goodreads or Facebook. If you remember who you are, accept my thanks. Once it reached the top of my stack of books to read, I read from it every chance that I had. I suspect many people who would really appreciate Special Exits have not seen it. Boomers taking care of their elderly parents are not as a group very aware of graphic novels. That's too bad, because the book dramatizes a situation in which they may find themselves - trying to respectfully manage the lives of people who have lost the ability to care for themselves. 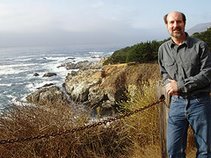 The complications are many: bad health, poverty, delusions, loss of memory, reluctance to accept help, etc. The demands are many: sacrifice time, negotiate calmly, tolerate idiosyncrasies, lose battles gracefully, and learn to guide the elderly to make the decisions that you know that they have to make. Special Exits is presented as a true story for which all the names have been changed. The daughter taking care of her father and stepmother over the course of four years makes some mistakes and only slowly learns what she can and cannot accomplish. We can all hope never to be so challenged as the daughter, but we should probably all be ready to step up to do what we have to do. Reading Special Exits beforehand may help. Farmer, Joyce. 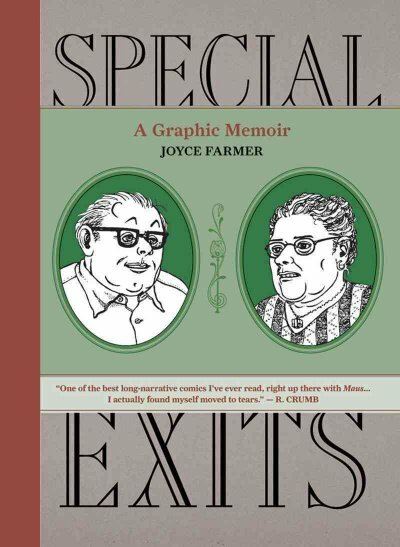 Special Exits: A Graphic Memoir. Fantagraphics Books, 2010. 200p. 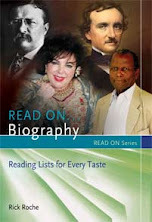 ISBN 9781606993811. It sounds quite wonderful, even though perhaps upsetting. The first graphic novel I ever read was Ethel and Ernest by Raymond Briggs. Lovely.